Hydraulic Punch Driver Kit has a compact design for field use on construction sites and maintenance jobs. Fast, easy and simple to operate, it punches 10 times faster than wrench method. 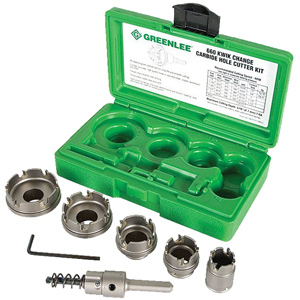 Model # 00355 Greenlee Replacement Blade Kit for PVC Cutter up to 1-1/4"